Ranked second in graduation for both his undergraduate studies. Best Resident award in the prosthetic program at Louisiana State University. OKU Best Student award at the University of Texas, Houston. An award for restorative dentistry from the University of Texas dental branch. Roger P. Rupp Award for Journalistic Contributions, October 6, 2012. As a dentist, Dr. Echeverri’s goal is to provide comprehensive diagnosis and dental care for his patients, with an emphasis on humanitarian, scientific, and reasonable treatments. Ultimately, he wants to provide long-term satisfaction for both his patients and his patients doctors. 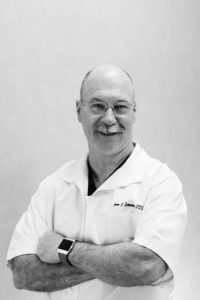 He advocates a team approach in treatments, including all other dentists in the office, our chairside dental team, and our management and administration team to provide the best possible care. 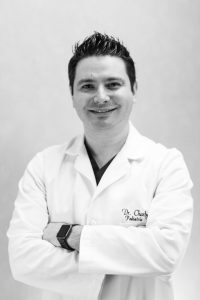 Dentistry is a challenge as well as a passion, and Dr. Echeverri is always excited to come to work and give his best for each patient he meets. When not in the office, Dr. Echeverri’s participates in fundraising rides on bicycles under the banner of Goya Foods, including the Houston to Austin MS150 bike ride, and enjoys gardening on the weekends. Dr. Echeverri and his wife, Dr. Elsa Echeverri, also participate in charitable missions to Guatemala with Faith in Practice. As a father of four children, he understands the joys and tribulations of being a parent, and finds immense fulfillment in the achievements of his children in every stage of their lives. Dr. Elsa Echeverri is a board certified pediatric dentist. 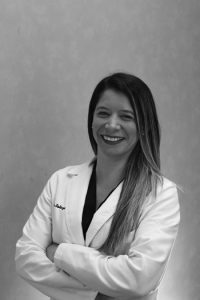 After receiving her Doctor of Dental Surgery (DDS) degree in Venezuela, she completed a post-doctoral program and residency in Pediatric Dentistry at the Louisiana State University School of Dentistry in New Orleans, Louisiana. 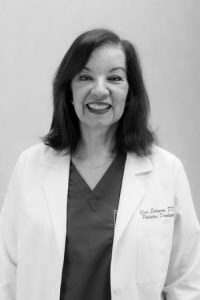 She has been a Clinical Associate Professor of Pediatric Dentistry at the University of Texas Health Science Center in Houston for 18 years, where she mentors a new generation of pediatric dentists.Dr. Elsa has an international reputation as an educator, clinical researcher, writer, and guest lecturer. She loves the time she spends meeting families and helping children with their dental needs. She has extensive experience in treating infants, children, adolescents, and those with special needs. She provides dental outpatient surgery under general anesthesia as a staff member of Texas Children’s Hospital. When it comes to treating children, she keeps her emphasis on the prevention of dental disease, and provides compassionate, gentle care to every child she meets.Dr. Elsa and her husband, Dr. Juan Echeverri, participate in medical mission trips with Faith in Practice one a year to provide medical-dental treatment for impoverishes patients. They have 3 daughters, 1 son, and 2 Labrador retrievers with whom they love to spend time. Dr. Mildred Kendrick absolutely adores children, and therefore limited her practice to children and adolescents. Her patients refer to her as the little doctor that sings, and parents love the way that she interacts with their children.Dr. Kendrick completed her degree in dentistry in at the Central University of Venezuela in 1973. She practiced there for 7 years, and continued her dental education by enrolling in a prosthodontics residency for 3 years, earning a subsequent degree in that field in 1984. She continues to advance her knowledge of dentistry annually. Professionally, her time is divided between private practice and community service. Dr. Kendrick has been practicing in the Houston, Texas, area for 43 years. 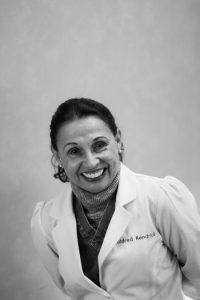 In 1989, Dr. Kendrick moved to the United States, where she volunteered at the University of Texas dental branch for 2 years. She obtained her Texas Dental License in 1995, and joined Echeverri Dental Center that same year. Her practice focuses on children’s dental care from 6 months to 12 years of age. Dr. Kendrick’s goal is to be the best dentist she can be, and to give her dental kids the best care possible. When not in the office, Dr. Kendrick enjoys hiking, traveling, and Pilates. She has one daughter, Erika, and two grandchildren, Ema and Eli, and a boyfriend, Bob. After obtaining his doctor of dental surgery (DDS) degree in his native country of Venezuela, Dr. Saba pursued a post- doctoral residency program at Boston University Henry M. Goldman School of Dental Medicine, obtaining a Certificate of Advanced Graduate Studies (CAGS) in Pediatric Dentistry. He also has full pediatric dentistry privileges at Texas Children’s Hospital to perform dental surgery under general anesthesia in an operating room (OR). Dr. Saba strives to offer specialized and comprehensive dental healthcare for kids, adolescents and patients with special needs in a friendly and safe environment. He believes that the first dental experience of a young patient will quite possibly shape their opinion of dentists for a lifetime. He takes it upon himself to provide a positive first dental experience, and to show patients how much he cares. Dr. Saba is fluent in English, Spanish and Arabic. He is happily married and a proud father of a boy. When he is not working, he loves to travel and experience different cultures as well as spending time with his family and friends and playing with his boy. As a dentist, Dr. Salazar’s goal is to build relationships with patients and education them on the importance of oral care while delivering quality, comprehensive dental services in all the clinical disciplines of general dentistry. Dentistry is a blend of art and science, and Dr. Salazar take great pride in her work and in improving her patients’ smiles. Dr. Salazar moved to the United States from Venezuela in 2007 with her family. She has a dog named Thor. Her hobbies include spending time with her family and friends, running, spinning, dancing, and yoga. She enjoys traveling and experiencing different cultures.